All of our Las Vegas Helicopter Tours fly from the North Las Vegas Air Terminal and feature the longest flight time as you approach the World Famous Las Vegas Strip before flying past the Stratosphere Tower, Bellagio Fountain Display the Luxor Space Beam and the beautiful lights of Las Vegas. Las Vegas Helicopter Tours – Soar over the World-Famous Las Vegas Strip in your luxury air-conditioned luxury Las Vegas helicopter, specifically designed with forward facing seats and 180 degree of unrestricted panoramic viewing! 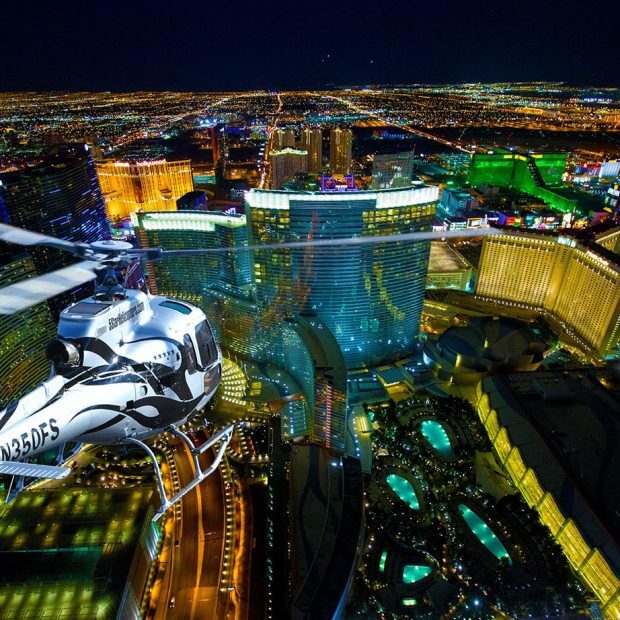 Start the night as you celebrate your visit to Las Vegas with an amazing helicopter tour flight over the dazzling neon lights of the famous Las Vegas Strip and its World famous resorts. Fly with 5 Star Las Vegas Helicopter Tours in a luxury Airbus helicopter. Our First Class VIP configured tour helicopter features European leather seating, cream leather trim for the ultimate first class helicopter ride. 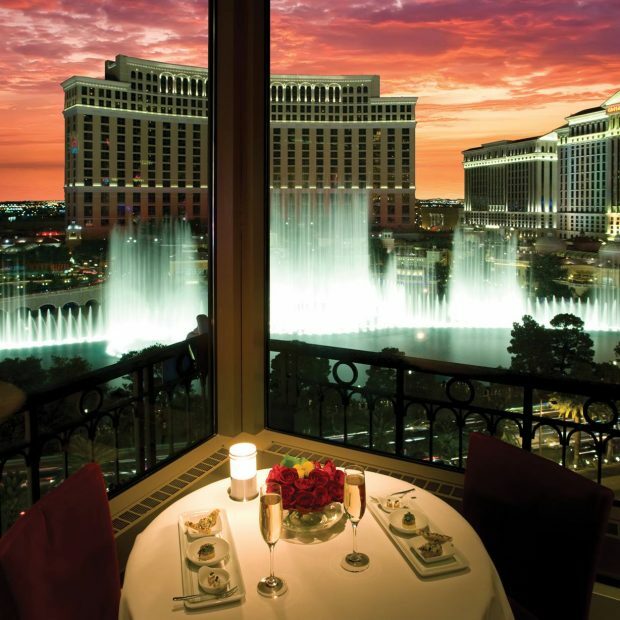 Las Vegas offers many amazing attractions and things to do, so we are combining an amazing helicopter flight over the Las Vegas Strip with Dining and shows. Choose the Jabbawockeez a world famous dance crew who combine the very best in audio and visual simulation taking place at the MGM Grand Las Vegas. Choose 5 Star Las Vegas Helicopter Tours – the premium Helicopter Tour Agency providing first class Wedding Coordinator Service including private limousine transfers and unlimited champagne and wedding cake in our Las Vegas Night Strip VIP Wedding Room. Get married over the Las Vegas Strip in your private helicopter for your Romantic Las Vegas Strip helicopter wedding package! 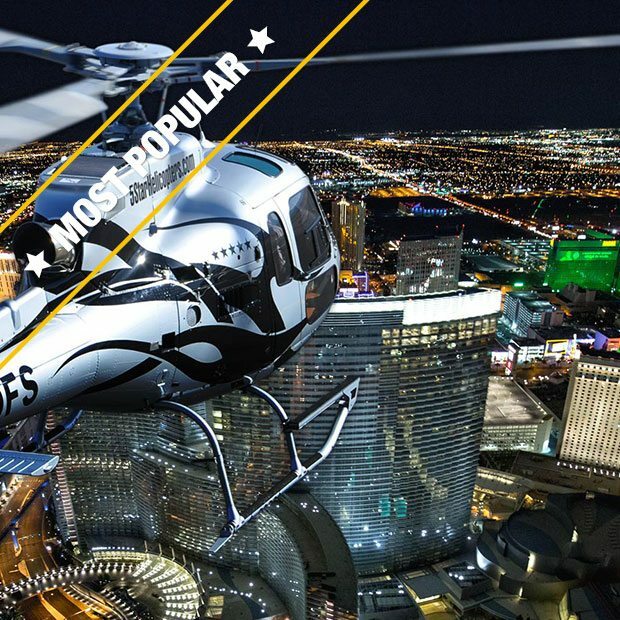 We provide unique private events for Las Vegas Bachelor and Bachelorette group parties including private limousine transportation, food and beverages – an incredible unforgettable Las Vegas Night Strip Helicopter flight experience!